Things Remembered of Highland Heights, Ohio, is recalling about 7,000 silver bracelets and 3,400 charm necklaces in the U.S. and Canada. This recall involves silver heart bracelets and sweet charm necklaces for children. The 6-inch, silver-plated bracelets have 10 silver hearts and circle links, a lobster claw clasp, and one silver heart-shaped charm. 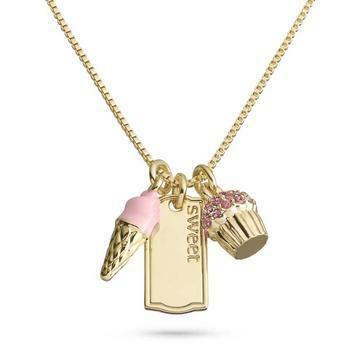 The necklaces are gold plated on a 13-inch box chain with a 2-inch extender, a lobster claw closure and three charms – a pink ice cream cone, a pink crystal cupcake and a gold-plated tag with “SWEET” engraved. The jewelry, manufactured in China, was sold exclusively at Things Remembered stores nationwide and online at www.thingsremembered.com from February 2015, through June 2016, for about $25. Consumers may contact Things Remembered toll-free at 866-902-4438 from 9 a.m. to 5 p.m. (ET) Monday through Friday, by email at customerservice@thingsremembered.com or online at www.thingsremembered.com and click on “Product Recalls” under “Company Information” at the bottom of the page for more information.